When you decide to tow a camper, there a few things that you have to consider. The first is how well your car or truck will tow a trailer or camper. To figure out the towing capacity of your vehicle, you can look in the owner's manual to find the rating. 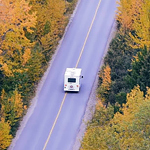 However, you also want to calculate the total towing weight, which includes the camper and any addition things that you store inside of it for your trip. A powerful hitch package can help your truck tow larger campers. You want to make sure that your truck has the right rating before you decide to rent a full camper to tow. In some cases, your truck's engine may not be able to handle the weight of larger full-sized trailers and campers. If you have questions about your car's ability to tow a camper, you should talk to a professional before you rent one and hitch it up. You can visit Lion Country Kia located in State College for more information.